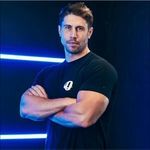 Gareth Sapstead MSc CSCS, also known as “The Fitness Maverick” is a world-renowned trainer, and men’s fitness expert. He’s the author of several books, The Fitness Maverick Podcast on iTunes, and an award-winning fitness and food blog. He’s the creator of The Fitness Maverick Coaching Program, working with men and women all over the world that are looking to maximize their bodies potential. You can connect with him on LinkedIn, Facebook, or Instagram.